Find the unknown edge of each cuboid. 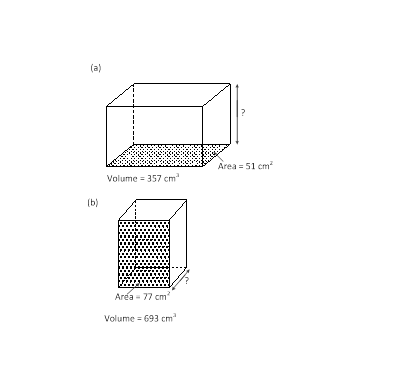 a) The unknown edge of cuboid a is cm. b) The unknown edge of cuboid b is cm .